KUALA LUMPUR (Dec 26): Utility giant Tenaga Nasional Bhd (TNB) said the implementation of the Imbalance Cost Past Through (ICPT) rebate for electricity customers is neutral on TNB and will not have any effect on its business operations and financial position. 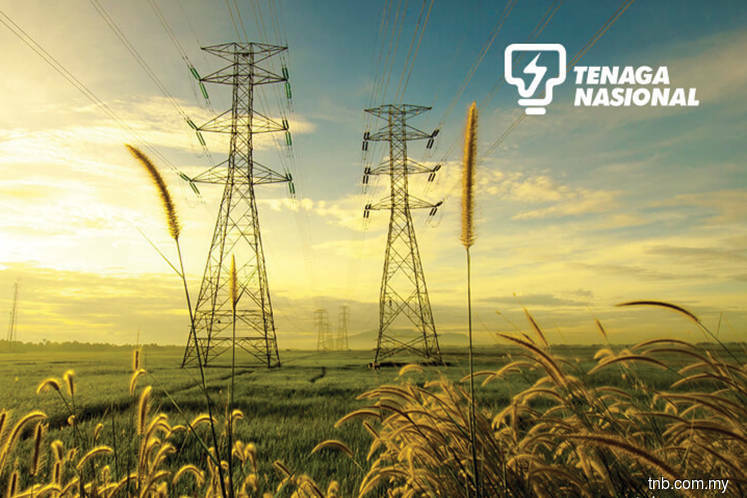 In a filing with Bursa Malaysia today, TNB said the government has approved for the electricity tariff in the current tariff schedule for Peninsular Malaysia to be maintained for the period of Jan 1, 2018 until Dec 31, 2020. It said the same electricity tariff schedule has been used since Jan 1, 2014. TNB said the government had further agreed to fund RM929.37 million for the subsidy and rebate of 1.80 sen/kWh from Jan 1, 2018 until June 30, 2018. "This includes 0.28 sen/kWh of surcharge from additional cost of generation and 1.52 sen/kWh to continue the current ICPT rebate for the electricity customers. "In total, the government has approved RM6.332 billion of total rebate to the electricity customers in Peninsular Malaysia over the period of March 2015 until June 2018," it said. TNB said with this decision, the customers in Peninsular Malaysia will not experience any change in their electricity bill from Jan 1 till June 30, 2018 if the electricity consumption is maintained at the same level. "Although the electricity tariff for the period of January 2018 to December 2020 is maintained at the current level, customers will continue to benefit from reliable electricity supply," it said. The ICPT is a mechanism approved by the government and implemented since Jan 1, 2014 as part of the Incentive Based Regulation (IBR) mechanism. The ICPT mechanism allows TNB to reflect changes in fuel and generation costs in consumer's electricity tariff every six months, subject to government's decision and approval. At the midday break today, TNB was flat at RM14.98 with 230,500 shares traded.